Linda J. 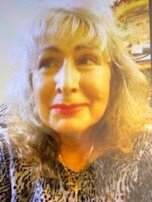 (Carvalho) Senna, age 71 of Bourne, MA passed away on Sunday, April 7, 2019 at her residence. Born in Taunton, she was a daughter of Dorothy (Ribeiro) Carvalho and the late Joseph M. Carvalho. She was a 1966 graduate of Taunton High School and retired from Bay State Propane. She loved her grandchildren, family, animals,meeting with her classmates and friends, and enjoyed being active on Facebook. She is survived by her children; Leigh-Ann Garcia and her husband Walter Leite and Shawn Silvia and his fiancé July Sanchez. She also leaves her siblings; Richard Carvalho, Joseph Carvalho and his wife Chris Ade, Cheryl Carvalho-Case, and Cynthia White,grandchildren; Autumn R. Carvalho, Crystal L. Silvia, Joseph W. Silvia, Anthony A. Rose, Jacob A. Leite, Mathew M. Garcia, Victoria G. Ribeiro, Sydney C. Silvia and Samantha A. Silvia, great- grandchildren; Leah S. Cabral, Savanah Cabral, Anthony Rose,Silas Silvia, Paxton Silvia, and several nieces and nephews. Linda’s funeral with visitation will be held on Thursday, April 11, 2019 from 10 to 12 pm with a service to begin at 12 pm from the Silva Funeral Home 80 Broadway (at Saint Mary’s Square) Taunton. Interment will follow in Saint Joseph Cemetery. Relatives and friends are invited to gather at the PACC, School Street,Taunton, following the interment.